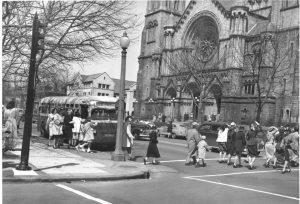 This was the scene in front of the New Cathedral on Lindell Blvd. 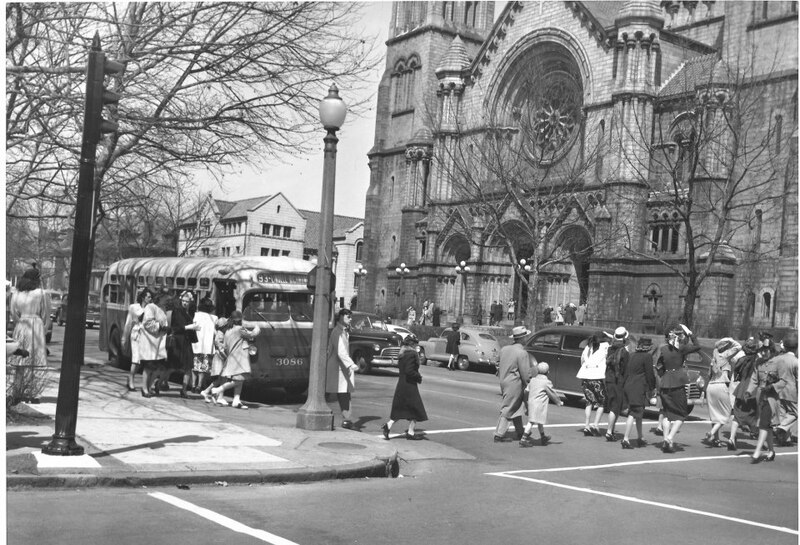 at Newstead on Easter, April 6, 1947. A bus on the old 93 Lindell route can be seen at left and the trees have yet to sprout their leaves. The 93 Lindell began in 1924 and continued into the late 2000s when it was replaced with the current #10 Gravois-Lindell route.